Tune-in tonight to see the cast and filmmakers Live at the “Mary Poppins Returns” World Premiere— On the Disney Livestream Presented by HSN at Disney Studios Facebook, Twitter, YouTube and Mary Poppins Returns Facebook. 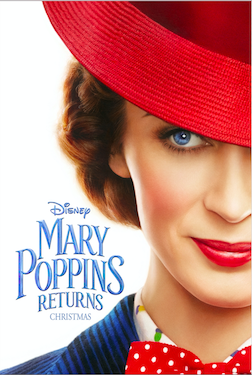 Check out the new “The Story Continues” featurette, and don’t forget to see “Mary Poppins Returns” when it opens nationwide December 19. The screenplay is by David Magee and the screen story is by Magee, Rob Marshall and John DeLuca based upon the Mary Poppins Stories by PL Travers.